An Indonesian citizen, born in 1979. 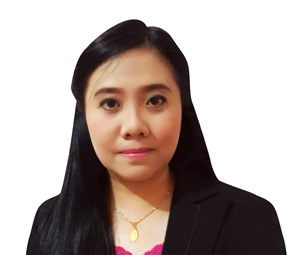 Mrs. Widjojo was appointed as Corporate Secretary of the Company in February 2014. She joined the ADR Group of Companies since 2003 and formerly served as internal audit in ADR Group (2003-2006). Holds a Bachelor of Economics (majoring in Accounting) from Tarumanagara University, graduated in 2001; a Master of Management (MM), majoring in Finance Management, from Tarumanagara University, graduated in 2003.